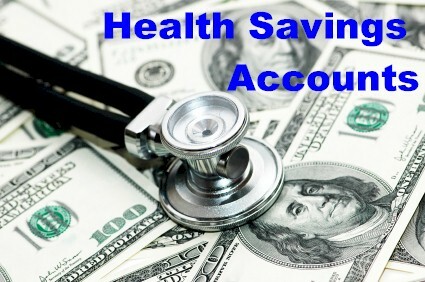 Anyone with an HSA qualified health insurance plan can open a Health Savings Account (HSA). Health Savings Accounts are 100% tax deductible accounts you can use to set aside tax free money each year for qualified health care costs. HSA qualified health insurance plans often have very affordable premiums and the money you save on premiums can be used to help fund the Health Savings Account ( HSA ). Families can often save thousands of dollars in annual reduced premiums by switching to an HSA qualified health plan. Get a free personalized quote on an HSA qualified health plan. Use premium savings to fund your HSA. Build personal savings tax-free with your HSA. You keep the unspent HSA money which grows from year to year. Contributions to HSAs are made on a 100% tax-deductible basis, meaning they are an above the line deduction which reduces your gross taxable income. When you spend money from your HSA, that’s tax-free too, as long as the funds are used to pay for HSA qualified medical expenses, including going to the doctor, prescription drugs, paying other expenses toward your deductible, as well as qualified dental and vision care. Because any money you don’t spend rolls over from one year to the next, HSA’s offer a long-term savings advantage. If you’re relatively healthy during your working years, by the time you retire you could build a sizable tax advantaged nest egg. Watch this video from PBS’s Wealthtrack program for an overview on HSA’s. Health Savings Accounts are the biggest advancement in health care financing in years is available to anyone in Colorado with our HSA qualifying medical plans! Call Colorado Health Insurance Brokers at 800-416-4481 for more information and a free quote or get a free personalized HSA health insurance quote or get a free instant HSA plan quote. * See IRS Publication 502 for a list of qualifying medical expenses. You may also reference IRS Publication 969 and the IRS HSA Questions and Answers bulletin and www.irs.gov for more information on HSA’s and IRS rulings and www.ustreas.gov for Treasury Department rulings. Federal and state regulations are subject to change. Colorado Health Insurance Brokers are not engaged in rendering tax, investment or legal advice. If tax, investment or legal advice is required, seek the services of a licensed professional.